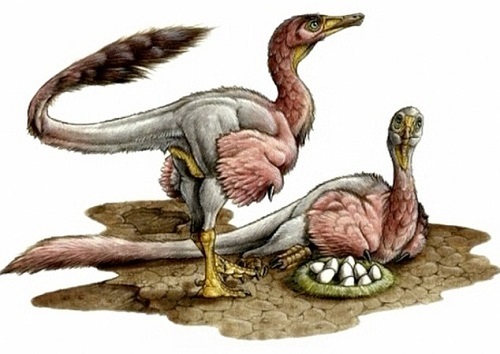 Researchers have been studying the evolution of dinosaurs into birds. The transition took about 50 million years. The dinosaurs became smaller and more lithe to better evade preditors. Eventually they started climbing trees, either to escape predators or find food. Next they started gliding from tree to tree, then added feathers for warmth or aerodynamics. They got smaller for agility. Soon (time is relative in God’s eyes) they were birds. (A story for the birds? The incredible shrinking dinosaur). That caused me to see what is happening in the Philippines as a matter of evolution, very fast, very profound. It won’t require 50 million years, but it may require more than six. That may seem rather dull to you, rather unexciting, rather mundane. A real yawner. Ah, but it is the most giant stride forward in the entire history of the Philippine Republic, since the time when President Aguinaldo installed favoritism as the main criterion for investment decisions. I think Senator Osmena was wrong when he said President Aquino was a bad manager a couple of weeks ago. I think Senator Osmena was being a typical armchair quarterback, unable to get onto the field himself but fully willing to criticize the guy out there getting black and blue. The old Philippine management drives – those that Senator Osmena has for skills – were based on power and favor politics. Appointments of friends and classmates. Investment in projects that would curry favor, or pay off debts. That’s why the senator filed a lawsuit regarding DOTC’s granting of a contract for rebuilding the Cebu airport. Friends taking care of friends. Not investment return to the Philippines. The old management style was to introduce projects that important people wanted within the context of a very broad plan. The projects did not have to fit into a demanding goal-oriented, metrics-based plan because there wasn’t one, other than to gloat about things that worked. Progress was sloppy. The millions put into road construction signs showing President Arroyo’s smiling face serve as testimony to the poor investment criteria. Or the millions directed to fertilizer that didn’t exist or to used helicopters that were declared “new” or to Kevlar helmets made of air. Patronage politics ruled investment decisions. President Aquino broke from that model. The first thing he did was craft a Development Plan which I have criticized as overly detailed. So detailed as to be nearly useless. Now I discover I was wrong. The document has became a working document – and a working discipline – for those who understood it and bought into its demanding goals. One who did was President Aquino. And the Development Plan helped put in place a different set of work values. Not favor and patronage. But return on investment, or benefit to the Philippines. It is an amazing cultural shift. Moving from excuses and blames to corrective action. And so the 2015 budget raises the allocations to social services. The Development Plan numbers are presented in what I would call “achievement context” in a “Results Matrices” document that examines progress toward goals. Read a few lines of page 8, Section B, to get the idea of how profoundly honest and earnest this document – and this discipline – are. Now, I would argue that the plan is still too detailed to be communicated to the public. It would be nice to get down to four or five top-line goals that drive the other goals. GDP growth, S&P rating, incidence of poverty, depth of manufacturing, agricultural productivity. Then roll the details out to the cabinet secretaries. The few top-line goals, if taken as an obsession, would make a huge difference in Philippine stability and wealth generation. If the nation were to look at Secretary Abad’s work in terms of this framework then he becomes a national hero, not a sensationalist goat for a press that panders to people’s suspicions and need for culprits. Under President Aquino and his well-directed cabinet members, decisions about where to spend got realigned in terms of importance to the nation. Not importance to favored individuals. This new drive is what encouraged the Administration to deploy DAP to get money to higher and better uses without delay. If it was a Constitutional technical violation, it was, “evolutionarily speaking”, positively earth shattering in helping implement the new model of good works: for the nation. That the Supreme Court fails to see this as Constitutionally permissible is a reflection of legal minds so tied to the legalistic details that they can’t find the big picture of what the Constitution advocates: the well-being of the Philippines. In four short years, the Philippines has migrated from a nation wandering blindly in the woods, getting economically eaten by much livelier and adept neighboring states, into a more purposeful, productive nation. A nation approaching the style of the best of the modern world. Good decisions started getting made in 2010. Wasteful, corrupt projects were killed. Money was redirected to NEED. School classrooms, cutting red tape, upping tax revenues by plugging holes, righting the financial ship, solving the Muslim unrest peacefully and with an eye to correcting years of ecnomic neglect, building desperately needed road and airport infrastructure . . . not benefiting privileged people. Benefiting the nation. Starting in 2010, the Philippines no longer – at the national level – was moving forward as a sloppy, directionless, favor-bound ship. It began moving with purpose. With “management by objectives” purpose, the cold, calculated way of doing what is most important first. Or Puerto Princessa’s regression into a bastion of power and favor (“Hagedorn blames mayor for Puerto Princesa woes“). But it is only a matter of time before those kinds of gameplayers get left behind by cities and provinces that are focused on productivity. Take the case of the “Cities and Municipalities Competitive Index“. By issuance of Executive Order 44, the Aquino administration took a languishing Arroyo initiative put in place in 2006 to promote better public/private cooperation and turned it into a “National Competitiveness Council”. The Council adopted measurable performance standards for LGU’s as the main method of measuring progress. In otherwords, TRANSPARENCY of local unit achievements. This step promises to remake the Philippines. I do not exaggerate in making this statement. Local leaders who can’t produce will not be able to survive on the benefit of family name alone. When an LGU (Local Government Unit) falls behind, the people will know. And they will vote for change. I’m confident of that point. It’s how successful corporations keep all their units sharp and profitable. They measure them. That is Philippine political culture, and politics around the world. Getting Corona out was a high priority investment with big returns to the Philippines. The court is now independent. Furthermore, we ought not miss seeing the core transformation. The national press is so busy throwing dirt that it sticks in our eyes and we are blinded as to what is happening. We are distracted. It is also important to understand that no transformation is pure on day 1. Indeed, those dinosaurs in the picture above are quite ugly, but they are changing. The complete emergence of a productive Philippines, from national to local, may take another 10 or 15 years. Okay, even 20. But the discipline is in place, the change of mindset. Rational decision-making based on results is now the culture. It is a huge evolutionary step. Bigger than jailing a few senators. It prizes ACHIEVEMENT, not favors. It is a change of fundamentals, the change of the bones, the framework of priority and effort, upon which the nation is built. Keep it up and the Philippines will positively soar. Definitely a step in the right direction. Aquino has shown us the way, it’s now up to the people to complete the journey. And step 1 is to recognize how being willing to look at the numbers, to measure, is an essential part of competence. It may seem dull and boring, but it is actually disciplined and exciting, because it can end the loopy doop practices of wandering in an unseen forest. So what are you really saying, sonny? I’ve said all this before? ahahaha Well, perhaps, the examples, but recognizing how distinctly profound the management by numbers is . . . that is new to me, occasioned by the rigorousness of the measurement of LGU’s. That takes the MBO discipline from national and pushes it out. Can you imagine? What if cities and municipalities started “right thinking” instead of this management by back-slapping? To meet these “devolving” situations head-on would be less productive than the “end-around” maneuvers Pnoy and his team seem to employ to deal with problems leading to different forms of impasse and paralysis. They in effect are opening up the field of play and allowing to “hit the enemies of progress where they ain’t”, borrowing the strategy of MacArthur that led to the liberation of the Philippines. One can think of these actions as thinking outside of the box, especially by those communities that have not yet been eroded by the politics and corruption of the central government. That’s a very good point, Sonny. Confronting the crooks er, uh scoundrels er . . . troublemakers who run LGUs would not be constructive. So the ranking of LGUs is indeed an outside-the-box way to deal with it. PNOY governance started as a big question mark but readily amazed a lot of political favor based attitude when Corona was jailed….later three (3) Senators…despite the occurrence of mother natures destructive typhoons and earthquakes…progress goes on and on in Philippine…yes it is a wonder but PNOY governance is managed by intellectual Senior managers such as Abad and company. Doing their homework probably using Microsoft excel graphical statistics and algebra. No favors, just a simple dedication of these hardworking managers…. Those who did criticize PNOY governance are nothing but politicians preparing for the next elections so they can remit the favor did to them in an equal manner. Do you believe that just running for a congressman even without winning is money in the bag for those willing to do it? Well, that’s favor, these obsolete favored politicians are even teaching their youngster do the same…what an ambition, just to have sure ball one needs to do favor and repeat that favor to the next and to the next….bad practice put the Philippine progress ON HOLD!!! Even the justices had to do some favors, hiding some facts, but thank God, Filipinos are borne gossiper, hence media is thriving to the max. Similar to paparazzi but this time all news network has to work hard to sell their HEADLINES. Now these favor attitude politics wherever they are, in executive, legislative or lower house has to be extra careful and choose the straight path. The course of the President is straight; naturally, the opposition has to course the same path of progress when PNOY disembarks, you know what next if they don’t? PEOPLE POWER again…. Looking back, that Corona trial was indeed a sign of the President’s determination and vision of what has to happen. It all fits now. His measurement-based plan, his management through his cabinet with an eye on the details of what needs to be done, doing the people’s work. How different from the style of the critics who speak in generalities and accusations with no details, no framing. I get frustrated with VP Binay because he never talks specifics, just generalities. Rather than giving an explanation about the “parking garage” he just claims “political attack”. It is the same blather we hear from Estrada and Revilla. Like, just explain what happened to the money that you assigned to be spent, eh? I hope that is true. That the pressure of public demand keeps future governments straight, no matter who gets elected. The best way I could put this is that PNoy set the political tone the minute he assumed office. That change would be imminent was a given. Having said that, the Philippine political landscape is populated by those belonging to the old system of patronage politics and get-rich-while-in-office-but-don’t-get-caught type of so-called political leaders. From the national level to the “barangay” level, corruption was a matter of course. You are right to say that it may take more than a decade to really reform this system. You are also right that PNoy has taken the right course of action. He has the momentum despite what the naysayers are putting out there in the media. Most of them are talking politics that I believe the best way to shut them up is to ask them bluntly what they have to offer in terms of better solutions. Really. Double really. The time to line up and compare accomplishments or economic statistics between the previous and the current won’t serve any purpose because the opposition will always say that stuff could’ve been better. That is why they are the opposition. The call of the moment for PNoy is focus. As some long dead admiral (his name escapes me at the moment) said a long time ago, “Damn the torpedoes. Full speed ahead.” You know who won that battle! Admiral Farragut. American Civil War. I had to Google it, and the scene was quite dramatic. They called mines torpedoes in those days, and the Confederacy had lined the entry into Mobile Bay with mines. When one of Farragut’s ships hit a “torpedo” and sank, the other ships started to turn about. He gave his famous instruction. “Damn the torpedoes. Full speed ahead.” They entered the bay and won the battle. More power to you. Nice assessment. Thanks for googling. Like I said earlier, I admire your patience. PNoy has a little more than 600 days remaining in his term. That is enough time to continue and finish his work. It will involve a lot of going back to the basics guided by the fact that it was the people’s clamor that catapulted him into the presidency and nothing else. Conrad de Quiros has been running hoarse on this. As a start, he may begin to get rid of some political baggages. Mostly ineffective people around him starting with Roxas & his staff at the DILG, Abaya, his spokepersons Lacierda & Valte, people at the DAR, DOTC and others performing below par. I don’t think he’ll change key people. It would be most uncharacteristic of him, a very loyal guy to his staff. I’ll have a blog about Roxas on Friday. I agree that DOTC seems to be the OPPOSITE of the point of this blog, which is precision and goals and achievement. It is like one huge problem after another, rather herky jerky with multi-billion projects. Abaya still has not figured out an airport plan. Cancelling the SM terminal (MRT/LRT crossing) in favor of Ayala is a huge boondoggle. I tend not to criticize the press people. They have a tough job because they have to be careful, and can’t really speak their own minds. It is a little like writing speeches for someone else, which is hard, but doing it “ad lib”. Better for PNoy to finish his term than be “ousted” and have Binay take his place with Binay being reelected in 2016. I love it JoeAm! You tied it beautifully. Pres. Aquino’s management style and professional management 101 — establish quantitative goals and then measure performance against the goals. I truly enjoy reading your take on it not because I am pro-Aquino but because I am pro-Philippines and such a report renews my hopes and keeps my dreams alive. I find perspectives like this to be very positive, uplifting and they resonate with me because of the way I was trained to manage and how I got to practice it in Corporate America. Haha, you’re welcome. Well, you know, it seems to me that the best way to move forward is to consider where we are and where we want to go, establish some priorities, establish some reasonable but reaching measurable targets, establish some precise action steps, measure variances from targets, and then candidly make needed corrections. The Japanese who owned the bank I worked for called it “PDCA” for Plan, Do, Check, Act. They had their plan condensed on one page, and rolled the pieces out to various units, which had their own one-pagers. They turned the corporation into a profit machine when the Americans and British before them could not. Ah yes the Japanese production management process is something to truly marvel. I worked for a few Japanese companies in Silicon Valley in the 80’s and 90’s (Librex Computers was one of them, an early laptop contender set up by Nippon Steel as part of their strategy to branch into electronics) and their management style was heavily focused on the process. They were very meticulous (almost to a fault) in measuring quantitative results along the process — if the process was done right then it was a given that the end result was going to be a quality product. They did not focus on the end result. A very novel concept back then. I cannot agree with you more.if only the other politicians would stop focusing on promoting themselves and think of what they can contribute to the President’s goals then,the Philippines can really move forward.Furthermore,Filipinos must be more analytical of what they read or hear and see in the media,especially those that are mainly critical of the president and his clan. That is exactly right. How to contribute . . . to be a part of the lifting, not a part of the load . . . too often the press is a part of the load. Too bad it takes an “outsider” looking in to recognize the reforms being pursued by the Aquino Administration. Evidence -based has always been the tool used for planning and it shows in the results. Too bad critics will not look at the evidence even if it stares them in the face. It’s hard to see some things when the water is so muddy. I think the media here do a pretty poor job of investigating and a good job of incessant criticism. Then there are the discussion threads where armies of haters go out to sow their product. There are few places of calm introspection. Hey, Uncle Joe. I agree that government would do well by sticking with numerical targets and assessments. How do they really stack up against solid goals? I clicked on that link you shared. Collecting data is tough work. Reading through it is sort of tough, too. Reading it later. hahaha. Managing a country cannot be solely based on “feelings.” I guess that’s how statistics and surveys get thrown into the mess, at least to justify what the national sentiment is. Emotions/feelings are easier to relate to. It’s a shortcut that’s freely exploited by those who know how. Imagine if Filipinos were Vulcans. Aside from having citizenry with pointy ears, we’d be the most efficient country on earth, and the most boring one, too. Over at the SC, I’m glad they saw that DAP loophole. For me, it also proved the independence of the court. Looking at the even bigger picture, a system that can be prone to abuse is a loaded gun for greedy politicians. I’m not saying the current administration is a corrupt one, but it’ll be much better to just stop it. Do realize that not everyone is as “saintly” as President BS Aquino 3. Surely, they’re not lacking in imagination on how to go around that issue. Separate thought: Is it possible to discuss the legality of DAP and its real benefit–whether it was needed or not–separately? Just be real objective about it. There’s too much “feeling” about that thing. Yes, the cold hard truth of numbers, if they are not rigged and jigged, takes emotionalism, bias, and guesswork out of the process. Not only that, but they can INCENT enthusiasm and commitment as goals are achieved. It’s like winning a long, slow basketball game. It would be interesting to pick DAP apart, to look at projects cancelled to generate savings, and to look at projects implemented that were aimed at boosting the economy. The Philippine Center for Investigative Journalism (PCIJ) has done some of this and come up mainly on the side of harsh judgment. It is a huge project, more than I can bear at the moment. What I am interested in is what is currently being debated about “lump sum” items in the budget. That is, large pools of money “to be spent later as determined by the president”. I think it totals like 500 billion or somesuch. Well, that is like DAP II, I think. I’m an advocate of such budgetary freedom, myself, as I think Executive needs ways to operate, otherwise we have a figurehead President. Might as well appoint him as king and forget elections. I’m interested in seeing if there is enough transparency to track the P500 billion, if it gets adopted. That is a project I could deal with, going forward. The president will always have his budget. It’s his team’s call how they want to proceed in a year. Honestly, isn’t having a slush fund for later projects more appropriate for “whimsical” leaders? Not sure if I said that correctly. I think a country needs a plan more than guesswork. The thought of a sitting leader not knowing what to do with the budget is kind of scary. After all, he’s not supposed to do all of the thinking. You know, the positive thing that all these “scandals” created is at least today, more people are genuinely concerned about how the money is spent. If you ask me, having that FOI, and real transparency when it comes to government spending would be great gifts that the sitting president can give to his people when he steps down in 2016. If they really can set that bar, I see no reason why the people will not want to have that system continue. Yes, that is a very positive takeaway. And I’ve read a few other articles of recent days talking about numbers and goals. All a good sign. Many seem to forget that we don’t live on an island anymore. Government processes and development processes are studied in great detail by the academic world and institutions like IMF, the World Bank, Transparency International… I got the feeling that this government compares it ways with evidence based theories and the newest advises of these institutions. They talk on a different level with a different set of paradigms, more up to date and accurate. What we miss is an education campaign for the average citizen to explain these new evidence based principles. Or are they afraid from the very strong “its not my baby / not invented here” syndrome in the Philippines? Copying yes, but don’t tell anyone. From what I’ve heard from friends and what I’ve read, although still imperfect, the drive towards transparency today isn’t just lip service. WB and IMF has their work cut out for them, along with the ADB, since development (and finance) is their business. They have to study what works in order to “sell” their prescriptions, imho. As a non-fan (non-groupie), I appreciate that the government actually updates their websites. I mean, at the height of the DAP controversy, they even had the guts to tell the world that it was all just on the website. I mean, that alone was a leap compared to the previous administration. Education at the basic level for the average citizen is always welcome. I mean, if they can explain government processes better, then good. It could also be a way to enhance citizen participation at the local level. For information dissemination, I guess it is also critical how they package the messaging. I mean, find the right crowd for the new worldview you’re selling. Why would the story matter to them? I’m thinking about how people tend to rely on national speeches, like the SONA. Something like that tries to be everything for everyone. We all know that if a president discussed everything in detail, an afternoon won’t be enough. Like in the recent one, even with the lengthy speech, he missed out on discussing the power situation, just to cite an example. As an example on message crafting, if we’re talking about growth statistics, like the super-favorite GDP, that thing will sail past the heads of many a poor folk. Ultimately, they might understand it. But the discussion will still lead to the question on why they are poor or even hungry. I think for this segment, it is more important to convey the implications for them and to equip them to participate in whatever economic area is most active. As sucky as it might sound, government has to sell hope instead of discuss the numbers in detail. I guess, they can improve on just hope by including tools to enable people. Oh, and I do not think the admin has to explain where they got some of the ideas unless the idea is branded or copyrighted by someone. From my old dear departed boss, when you run out of ideas, try to borrow ideas and make it your own. I mean, it does not have to be an exact duplicate.They could try and mention that it’s something so-and-so in passing. Sorry if turned out rather long and rambling. Hahaha. The knowledge I have about poverty reduction is from a few years ago and outdated. If I understand correct in the new policies it is all about “equality” at the start, from in the womb ending to 18 years old. It’s all about avoiding repeat poverty, today almost all poverty is inherited, upward mobility of the poor very limited. Focus on the children, “forget” the current generation of adults, except as parents. The poor should be treated individually, each case is different and the one magic bullet non-existing. We also have much more individual information on poverty as collected in Globe and Smart databases and, cash programs are individual but Sy knows exactly what he needs to have in stock the day they are paid, Municipal records getting computerized, many departments have info on housing, medical records etc. Transparency should be double, how to “Google” about a bridge, a supplier of school books… and how to “Google” Juan de la Cruz for its precise needs. Big Brother? If commercial companies can do it why not the government? All-out poverty reductions are programs are wasteful, not reaching the targets and easy to corrupt. Outlandish World Bank idea? But I fully agree, as in the old days: Result of an improvement = Quality of the solution X Acceptance of the solution. Experts tend to focus only on the Quality and then disasters as DAP happen. Oh, you’re referring to the CCT. I sort of agree with what you’ve said. But,isn’t it a bit cold to leave the older generation to “bahala na” and “kaya nyo na yan”? I do agree that there’s no magic bullet in solving poverty. In one of my drunken moments, I used to fantasize that the government should come up with a human-powered electricity plant. I mean, they can aim this program for all the jobless. Just pedal a few hours for energy in exchange for some benefits. Well, that’s what alcohol does. Anyway, SM, Globe and Smart have the magic of CRM software on their side so they can customize offerings. I believe that government sort of have their own CRM solution working for them–the Census/ NSCB? But they tend to tweak how it works for public viewing. I remember an allegation before how government redefines poverty standards to reduce the incidence of poverty. I’m not sure if I said that correctly. I think I have a pamphlet here somewhere. I’ll look for it. I think local government should be more visible and vocal when it comes to poverty alleviation. How do they want to mobilize the poor? And how do the poor want to be made mobile? I guess that not all of them want dole outs. Nice work, Willy. You’ve got things on the right track. Keep up the good work there at NEDA.